People are the solution to the problems that confront us. Technology is not the solution, although it can help. We are the solution -- we as generous, open-hearted people who want to use our creativity and caring on behalf of other human beings and all life. Relationships are all there is. Everything in the universe only exists because it is in relationship to everything else. Nothing exists in isolation. We have to stop pretending we are individuals who can go it alone. We humans want to be together. We only isolate ourselves when we're hurt by others, but alone is not our natural state. Today, we live in an unnatural state -- separating ourselves rather than being together. We become hopeful when somebody tells the truth. I don't know why this is, but I experience it often. Truly connecting with another human gives us joy. 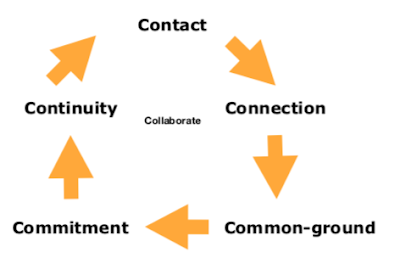 The circumstances that create this connection don't matter. Even those who work side by side in the worst natural disaster or crisis recall that experience as memorable. They are surprised to feel joy in the midst of tragedy, but they always do. We have to slow down. Nothing will change for the better until we do. We need time to think, to learn, to get to know each other. We are losing these great human capacities in the speed-up of modern life, and it is killing us. The cure for despair is not hope. It is discovering what we want to do about something we care about. 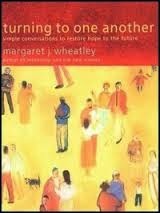 From the book ‘Turning to One Another: Simple Conversations to Restore Hope to the Future’ by Margaret Wheatley. More sparkenations here where you can also download all 52 of this years sparkenations in the one ebook.